Jim Shaw is a lifelong student of the law. When he’s not immersing himself in a case, he is studying new facets of litigation in preparation for future cases. He discovered his love for the law and his talent for public speaking at an early age, which made his career choice an easy one. From his very first client meeting over 35 years ago, Jim has dedicated himself to establishing trust from the beginning and maintaining open, honest communication to ensure long-term success in his client relationships. 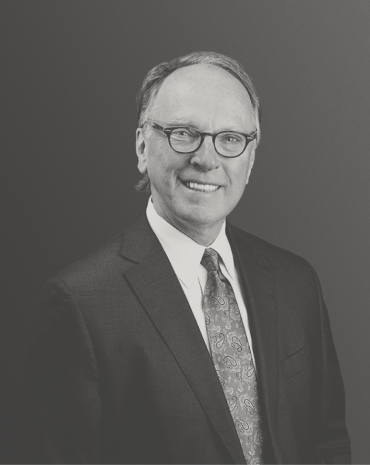 Jim joined the firm in 1975 and throughout the past four decades he has gained extensive experience as a civil trial lawyer. He defends clients in the areas of heavy equipment litigation, trucking litigation, insurance coverage litigation and bad faith agency professional liability litigation. He has handled professional malpractice defense for lawyers and law firms as well as claims involving insurance and real estate agents. And, he has served defendants in product liability cases involving construction, logging, marine application, mining and recreational products such as firearms and hunting equipment. Jim consistently demonstrates his appreciation and admiration for his clients and for the trust they have placed in him. He strives to provide the very best value with tremendous respect for their time, investment and reputation. When he’s not in the office, Jim spends time with his wife, Martha Jean, and pursues his hobbies of photography, fly fishing and cooking. Jim also serves on the Greater Birmingham Humane Society Board of Directors, the Greater Alabama Council of Boy Scouts of America District Executive Committee, the NPR affiliate WBHM Friends Board and on his local Church Council. Jim earned his BS from The University of Alabama and his JD from The University of Alabama School of Law. In 2014, Jim was named as a Fellow by the Alabama Law Foundation. Defense verdict affirmed by Alabama Supreme Court in July 2017. In January 2017, successful in a petition for writ of mandamus to the Alabama Court of Civil Appeals. Jim is consistently “AV” rated by Martindale-Hubbell surveys and is recognized by his peers in the Bar as Best of the Bar, The Best Lawyers in America, “Birmingham’s Top Attorneys”, Birmingham Magazine, a member of Super Lawyers, and recognized by the Birmingham Business Journal as a leading trial lawyer in the State. Speaks frequently to Bar Association groups, continuing education seminars and individual client conferences pertaining to claims prevention and loss recognition and control in manufacturing facilities.